TROY – The Troy-Hayner Cultural Center announced a new poetry event that will be held at 7:30 p.m. April 6. Poetry At Hayner will feature 12 poets in a mosaic of voices to encourage a variety of subject matter, perspective, rhythm and meaning. These invited poets will read their own works in five-minute segments followed by an intermission featuring hors d’oeuvres and wine bar. The second half of the evening will feature an open mic hour. Guests can bring a poem of their own to read with sign ups at the event beginning at 6:30 p.m. Time slots are limited. 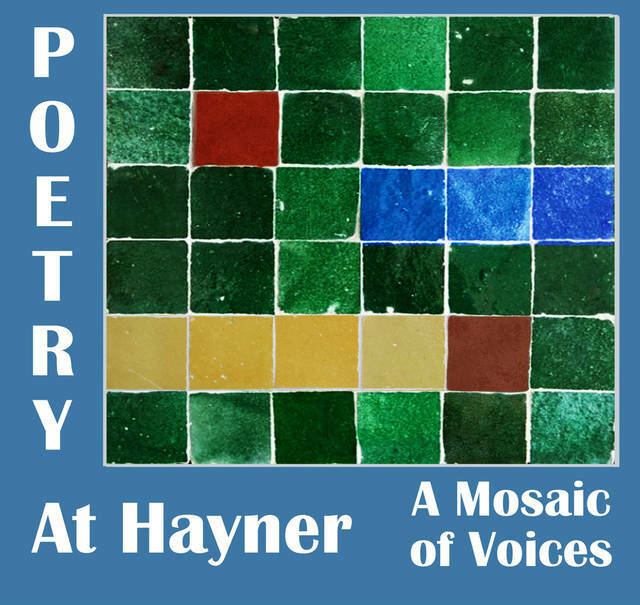 Individuals are encouraged to watch the Hayner website to learn who the 12 invited poets are for the 2019 Poetry at Hayner, a mosaic of voices. The Troy-Hayner Cultural Center is supported by the citizens of the Troy City School District through a local tax levy and gifts to the Friends of Hayner. For more information regarding this free event and to receive a complete listing of events taking place at the Hayner Center, call 339-0457 or visit the Hayner website at www.TroyHayner.org for complete details.